FOR SALE IN ASHLAND PLACE HISTORIC DISTRICT – 2323 N. Central Ave., Unit 2001, (20th Floor) Phoenix, AZ 85004. An absolute MUST-SEE luxury condo at the REGENCY HOUSE ON CENTRAL LUXURY HIGH-RISE CONDO in the HEART of Central Phoenix! Sold! But we have others! Offered at $1,395,000, this RARE 1926 PUEBLO REVIVAL HOME on almost an acre in the HEART OF ARCADIA is an ADOBE CONSTRUCTED home designed AND built by ROBERT T. EVANS who’s infamously noted for his Adobe construction. One of the many historical significant pieces of history is that this Adobe is named “The Dr. Charles C. Bradbury House.” It was THE FIRST home built in this subdivision! With 2-stories & 360 degree wrap-around veranda decks, parapets with HUGE Vigas, 3 bedrooms and 3 baths, 3 fireplaces, inside of 3,126 SF sitting on a lot of 37,359 SF lot (0.86 Acres), Camelback Mountain is IN YOUR FACE and the views will just blow your mind…Romantic, spiritual, breathtaking, stunning and exquisite! Read More and be sure to watch the drone video which is truly stunning! SOLD, but we have others! 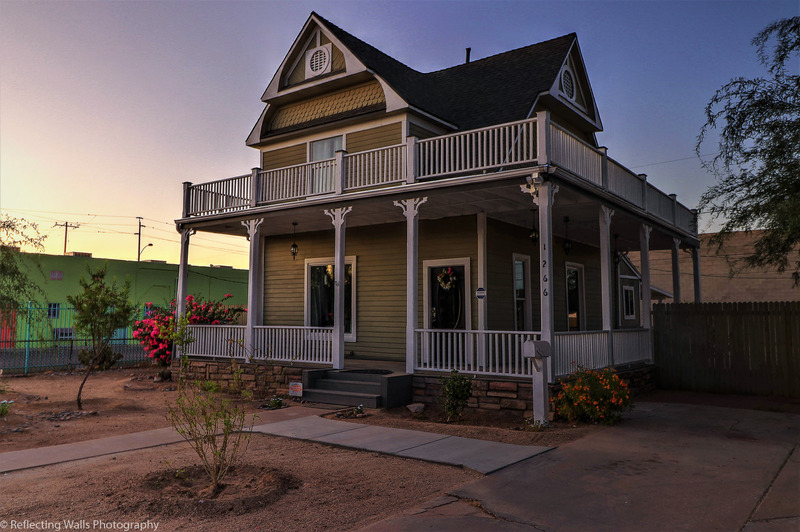 814 N 9th Street Phoenix, AZ 85006 In Garfield Historic District – A California Bungalow at its Finest! Asking $290,000 MLS #5716368 3 Bedrooms, 1 Bathroom | 1,171 Square Feet | Built 1926 – Sold! But we have others! FOR SALE IN PHOENIX! A VERY RARE OPPORTUNITY TO OWN A LATE VICTORIAN QUEEN ANNE Style, circa 1898, The WILLIAM LEWIS OSBORN HOUSE! Fully restored and only $375,000 also zoned commercial C-2 and MORE! 2 LOTS included in ONE Sale! SOLD, but we have others! 1266 West Pierce Street Phoenix, AZ 85007 – MLS # 5666459. Also listed under commercial MLS # 5666545 3 Bedrooms, 2-1/4 Bathrooms, 1,312 SF on a HUGE lot of 13,700 SF. Walking up to this WILLIAM LEWIS OSBORN HOUSE, a LATE VICTORIAN QUEEN ANNE Style, circa 1898, listed on The National Register of Historic Places, is like rolling back time to the good ol’ days! It’s impossible not to notice the TWO HUGE wraparound decks, upper AND lower that have BREATHTAKING DOWNTOWN PHOENIX VIEWS & the cross gabled roof in this BOOMING LOCATION! This classic has been FULLY RESTORED, HIGH-END REMODEL THROUGHOUT! 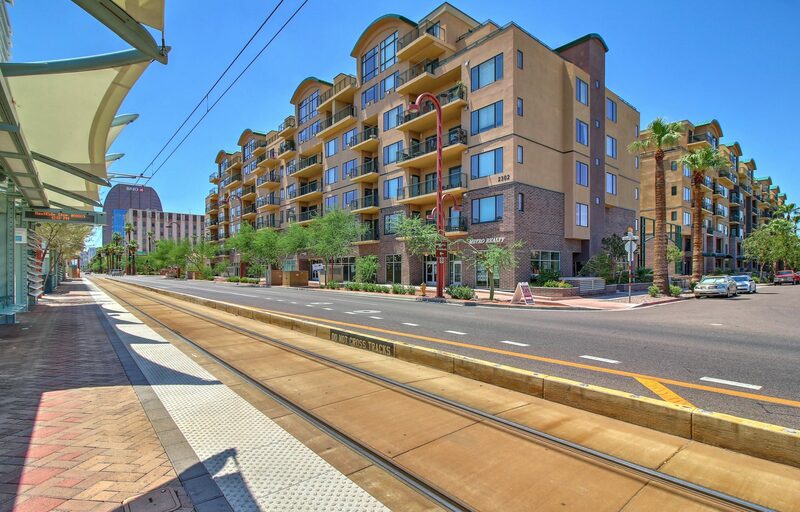 TAPESTRY ON CENTRAL LUXURY CONDOMINIUM FOR SALE – 2302 N CENTRAL AVE 206, Phoenix, AZ 85004 MLS # 5642995 Only $249,900. 2 Bedrooms, 2 Bathrooms, 1,235 SF Sold! But we have others! 3,318 Square Feet | 7 Offices Plus 2 Additional Workstations & HUGE LOT! | Built 1979.